Gabhaidh Fios air Fuaimean a chleachdadh mar ghoireas bunaiteach gus fonaigs shinteataig, rianail a theagasg. 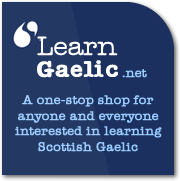 Cruinneachadh de stuthan ag amas gu sònraichte air sgoilearan Gàidhlig aig ìrean Nàiseanta 3, 4 agus 5. 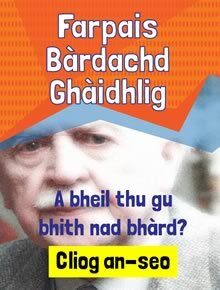 Chaidh an goireas eadar-chuspaireil seo a chruthachadh airson taic a thoirt do luchd-teagaisg an cuspair seo a lìbhrigeadh le clasaichean 4-7 sa bhun-sgoil. 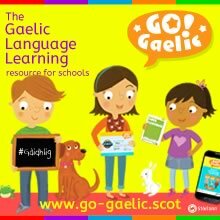 Tha goireas aig Stòrlann a leigeas le luchd-cleachdaidh stuthan a tha iad fhèin air ullachadh a luchdachadh suas gu stòr susbaint didseatach. Tha còrr is mìle bliadhna bhon a dh'fhairich Alba smachd nan Lochlannach. Aig an àm sin, chaidh an ainmeachadh mar dhaoine cumhachdach, feargach agus eagallach. ’S e làrach do thidsearan a th’ ann am Mìrean airson taic a thoirt dhaibh le gràmar sa Ghàidhlig. 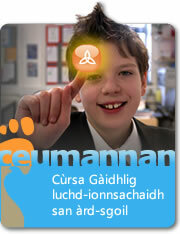 Cuidichidh an goireas seo le bhith a’ teagasg Eaconamas Dachaigh tro mheadhan na Gàidhlig.